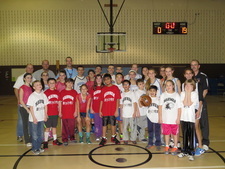 WHAT: An introductory clinic with a high coach to player ratio that will allow children of all levels to learn about and enjoy playing the game of basketball. 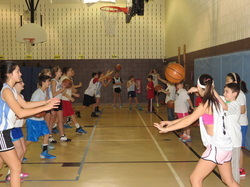 We will work on fundamental skills such as dribbling, passing, and shooting, and may do some controlled scrimmages. HOW: To register please complete and submit the below form. If you have any questions or for more information please contact Jeff Morris at jeffmorris4@hotmail.com. COST: Registration is $40, payable at the first session by cash or check made out to TMYSB.